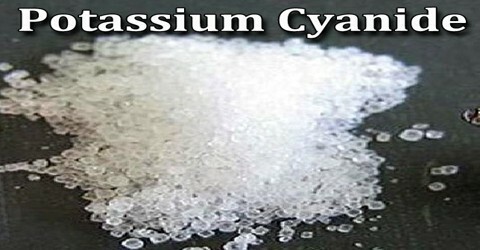 Potassium cyanide is a white poisonous granular soluble solid substance used in photography and in extracting gold from its ores. It is highly toxic. The moist solid emits small amounts of hydrogen cyanide due to hydrolysis, which smells like bitter almonds. Not everyone, however, can smell this; the ability to do so is a genetic trait. It is a chemical element, its atomic number 19, atomic weight 39.102, symbol K. A proper balance between sodium, calcium and potassium in the blood plasma is necessary for proper cardiac function. Alfalfa meal, molasses and soyabean meal are good sources for herbivores. The chemical formula of potassium cyanide is KCN. Its molecular formula is CKN and its molar mass is 65.12 g/mol. It is a salt which is composed of the potassium (K+) cation and the cyanide (CN–) anion, in which the carbon atom is triply bonded to the nitrogen atom and has a negative charge. 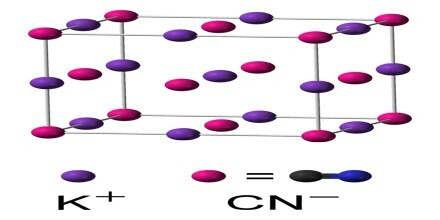 The common form of solid KCN, stable at ambient pressure and temperature, has the same cubic crystal structure as sodium chloride, with each potassium ion surrounded by six cyanide ions, and vice versa. 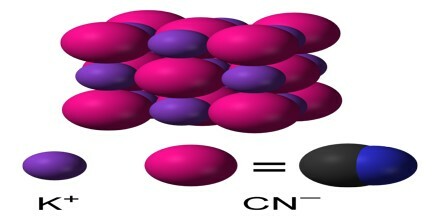 Despite the cyanide ions being diatomic, and thus less symmetric than chloride, they rotate so rapidly, their time-averaged shape is spherical. The chemical properties of KCN are very similar to those of sodium cyanide (NaCN). It decomposes slowly in air (by absorbing the atmospheric moisture or carbon dioxide) and decomposes rapidly on heating to release toxic hydrogen cyanide gas (HCN). It also reacts with acids to form HCN. Thus, KCN crystals must be stored in very dry and acid-free conditions. KCN is used as a photographic fixer in the wet plate collodion process. The KCN dissolves silver where it has not been made insoluble by the developer. This reveals and stabilizes the image, making it no longer sensitive to light. Modern wet plate photographers may prefer less toxic fixers, often opting for the less toxic Sodium thiosulphate, but KCN is still used. It is also used in electroplating, photographic developing, fumigation, and as an insecticide. 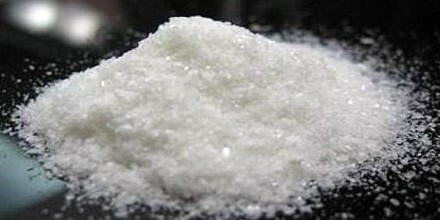 Potassium cyanide is highly toxic and a potent poison, in a similar manner as sodium cyanide. If swallowed, it is a fast acting poison even in small doses. Exposure to the solid KCN can also be dangerous as it slowly releases the toxic HCN gas in air, which is toxic by inhalation.